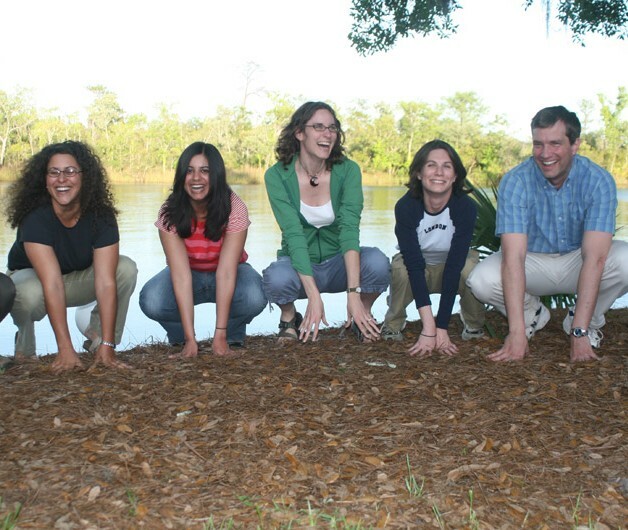 The EWCL Amphibian Project Team (APT) worked in collaboration with Amphibian Ark (AArk) to address the global amphibian extinction crisis during 2008 Year of the Frog. The goals of AArk’s campaign were to generate public awareness, create partnerships, raise funds, engage the public, and to stimulate long term interest. APT designed its conservation project around raising awareness about the extinction crisis and raising funds for one range-country institution to develop an ex situ conservation program for a critically endangered species. The hope was that the project would serve as an example on how AZA (Association of Zoos & Aquariums) institutions and range-country institutions could partner to achieve the goals of Amphibian Ark. APT solicited proposals through the Latin American and Meso American Association of Zoos and Aquariums. Many factors were considered in the evaluation of the 12 submitted proposals including the status of the species, plans to conduct research and education, and the capacity to meet biosecurity standards. Ultimately, APT selected Africam Safari,- a zoo in Puebla, Mexico, that proposed a multifaceted approach to saving the large-crested toad (Ollotis cristata). Elements of the project included creating a captive assurance colony for the critically endangered toad, working with nonprofit and academic partners to restore its habitat, monitoring chytrid prevalence in wild amphibian populations, and conducting education programs in the 2 localities where large crested toad populations had last been seen in 1998. To fully fund Africam’s project, APT needed to raise $46,000, which seemed a lofty goal, until you consider it is the cost of keeping a species in existence. 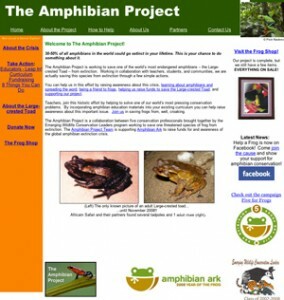 The APT team created a website, (www.helpafrog.org) that provided information and links related to the Amphibian Aark project, the amphibian crisis, the EWCL program and the APT project. 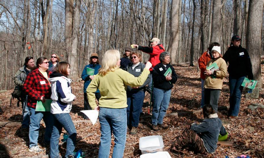 In addition, APT scoured the internet for the best amphibian-related curricula and created an education toolkit complete with classroom and field activities. The site enlisted teachers throughout the country to use the provided curriculum and to help APT fundraise with the ultimate goal that students would raise half of the necessary funds and APT would raise the other half. In 2008, APT created the very popular Year of the Frog calendar, with beautiful photos donated by professional wildlife photographers. Sales were outstanding and generated a profit of $25,000! The team also received a number of donations, bringing the total to $31,000. APT then developed a number of new fundraising products and launched the “frog shop” on its website, which offered a set of unique note cards featuring donated frog photographs, frog adoption kits, and two drawings created by an emerging wildlife artist which were later made into prints. Unfortunately, sale of these products coincided with the economic downturn and sales were slow. Overall, $33300 was transferred to Africam Safari to conserve the Large-crested Toad. APT applied to a number of small grants on behalf of Africam Safari as well. During this process, some experts in the field suggested that the large Crested toad had possible already gone extinct. This prompted an immediate field survey. Thankfully, the toad was not extinct. The field survey resulted in the discovery of both tadpoles and metamorphs of the species. The helpafrog website is still available. At the conclusion of the project, it had received just over 6700 hits, while the curriculum page had about 3000 hits. Our site had been linked to or mentioned in 30 other websites or newsletters. To date, the site has been visited almost 11000 times and the curriculum page has almost 7000 hits. The curriculum page has also been integrated into Amphibian Ark’s website. The group created a frog calendar to help raise money for amphibian conservation. A few teachers started a colony of dart frogs in their classrooms. Jennifer Sevin conducted a teacher workshop in Front Royal, VA. 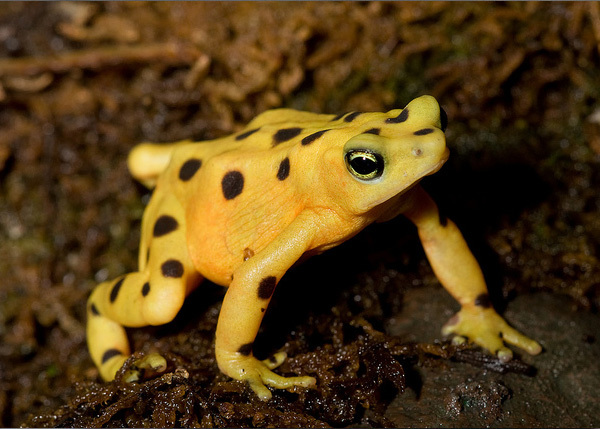 The group has created and maintains a website at helpafrog.org where they keep current information on amphibians, link to educational materials, and sell amphibian-themed merchandise. Many more individuals provided helpful advice and support. And many photographers donated photos to be used in our calendar and on the notecards. Visit the website helpafrog.org for more information on what you can do to help conserve declining frog populations.